This has been a pretty wonderful weekend of rainy, somewhat cooler weather. I'm ready for Fall! 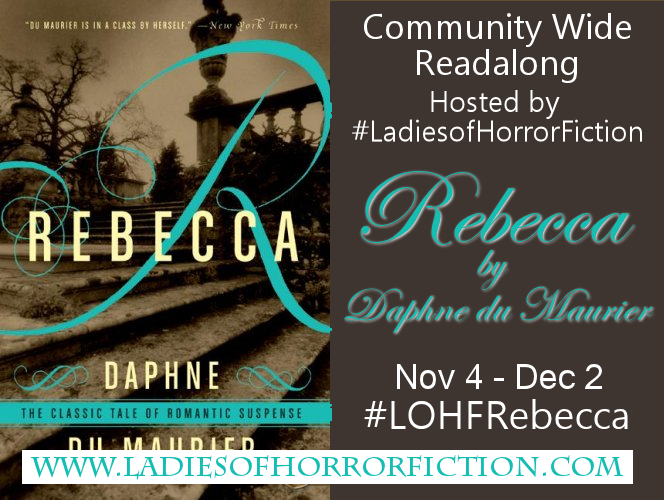 I want to invite everyone to participate in the upcoming Rebecca readalong hosted by the Ladies of Horror Fiction team. 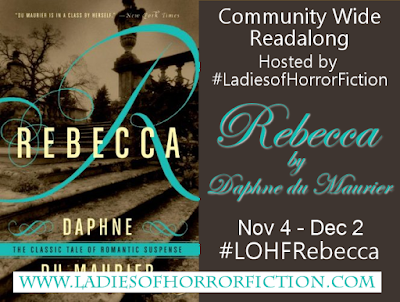 We will all be reading Rebecca by Daphne du Maurier during the month of November and posting discussions for the community each Sunday. I've never read Rebecca! Have you? If you want to join in on your blog or on the LOHF site, you can find all of the details on the Community Wide Readalong: Rebecca post. 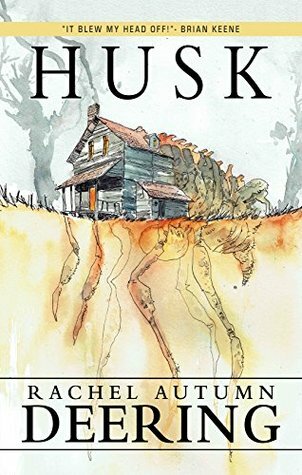 Husk by Rachel Autumn Deering ⭐⭐⭐⭐ - I'm excited about this debut. 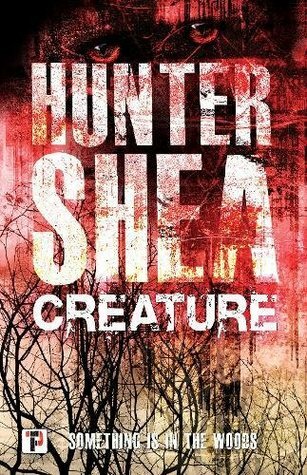 Creature by Hunter Shea ⭐⭐⭐⭐⭐ - I promise to have a review of this one out soon because I loved it. 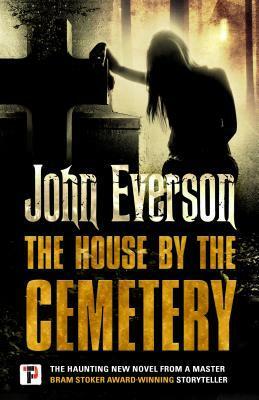 The House by the Cemetery by John Everson ⭐⭐ - This was a buddy read with Bark, Emily, Lilyn, Toni, and Tracy. They enjoyed this one a bit more than I did. 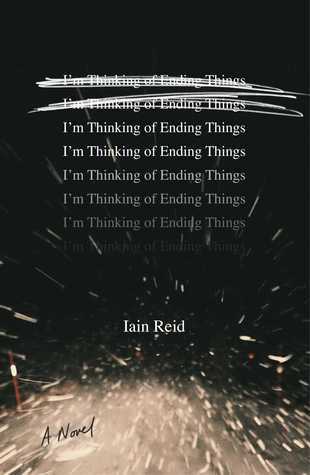 I'm Thinking of Ending Things by Iain Reid ⭐⭐⭐⭐ - I'm torn on my rating for this one. Until I write out my full thoughts, I'm going with 4 stars. The Toy Thief by D.W. Gillespie - I'm almost done reading The Toy Thief. 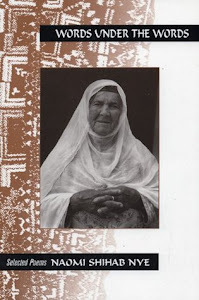 Words Under the Words by Naomi Shihab Nye - This poetry collection pulls together poems from three of Nye's collections and it is amazing. Bag of Bones by Stephen King - Tomorrow I start my reread of Stephen King's Bag of Bones. It's been about 20 years since I read it, and I have a feeling adult me will find a different story in the pages. Rebecca is such s great read! Enjoy your read-along. Thanks! I'm excited to read it for the first time. I am happy to report NJ also got some cooler weather. YEAH!! I have never heard of Rebecca, but wow! It has amazing reviews. Hope the read-along is fun. 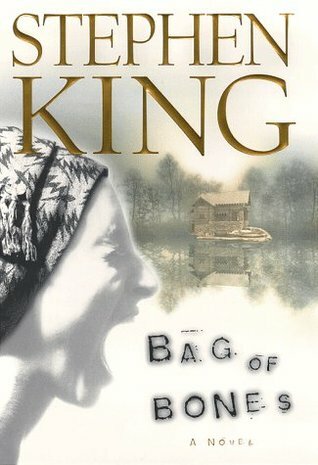 Curious to see how your experience with Bag of Bones compares to when you read it 20 years ago. I cannot wait to see your review of Creature!! I'm hoping to snag a copy soon! I hope you get a copy soon! It's such a great book. I've always wanted to read Hunter Shea, and it seems like his popularity is picking up recently (probably also because he's been churning out a ton of new stuff lately). Really intrigued to see you give one of his books 5 stars, now I'm even more curious. Right? It seems like he writes a new book every other month. I was not expecting what I found in Creature. Ooh the Rebecca readalong sounds fun! I love all the scary and horror stuff going on or coming up. And I'm Thinking of ending Things has me curious! Oooh! Great week you have! I want to read that Stephen King book! Hope you have a lovely week! I hope you are able to read it sometime soon. A lot of people really love it. I plan on doing the readalong with you guys - I've always wanted to read that book. I'm so glad to see you loved Creature as much as I did! It was such a good read. I started a Flame Tree Press science fiction read last night for a blog tour - Ten Thousand Thunders. Wish me luck because you know I'm a science fiction newbie! Good luck!! I'm so glad you are joining us for Rebecca. It has been on my read next shelf forever! You are in for a treat with Rebecca, I think you will enjoy it. Bag of Bones, hmmmm I may just read that again too. I just know I'm going to love Rebecca! I expected a much different experience with Bag of Bones this time around, but it hasn't really been that different of an experience. I read Rebecca a couple of years ago and really enjoyed it. Hope you do, too! The read along sounds fun. I can't participate because that will be my finals week. I hope I can get in on one by the end of the year. 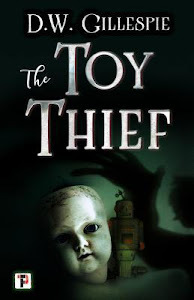 I want to read Hunter Shea. I hope you enjoy the new books! Spoiler alert, but we will be picking another book for February. Maybe you can join then! I remember only a few things about Bag of Bones. I'm looking forward to finally reading Rebecca! Bag of Bones is my favorite SK book. I found the main character so endearing. I just loved it. :) I am excited to see what you thought on your reread!